Great Scott, a post full of pictures. 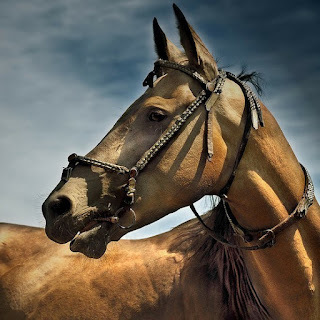 It would be pretty poor sport to do a Beautiful People post on horses, because as interesting and expressive as they can be, there just isn't enough back-story to plain, straight up horses. 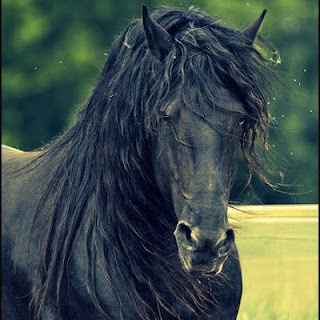 Horses like Bree, for instance, or Black Beauty, may have interesting tales to tell; but in general your typical dumb horse, be he as grand and triumphant a beast as possible, would make for a rummy interview. 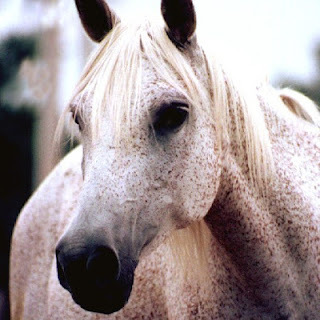 So rather than give you something like Beautiful People, I'll take you briefly through some of the major horses of Plenilune - because a Plenilune fellow is nothing without his horse. 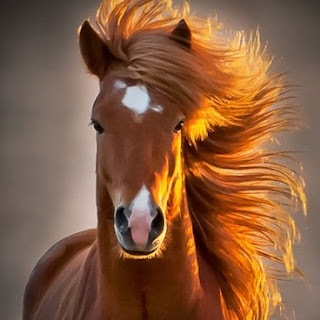 Think of it as a sort of dramatis personae, but with horses. Note: Plenilune folk don't measure by "hands," they measure by "hedges." Most horses are at least a "hedge" high, usually more. "Hedges" are about five feet high; after a single "hedge" horses are measured in tenths. 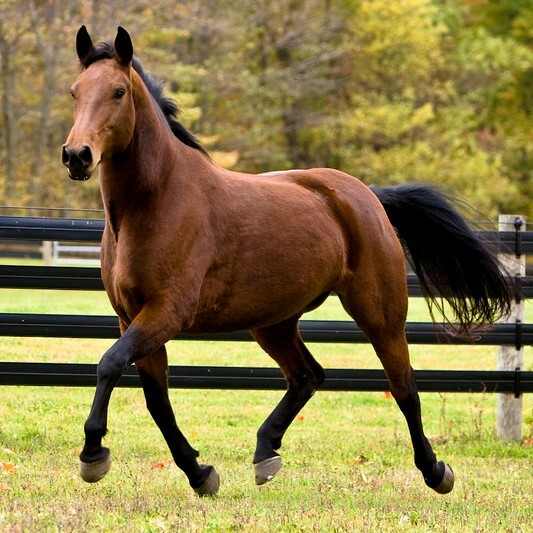 Example: a horse is "a hedge and one" high which is approximately five feet one inch. Anything below a "hedge" is counted backwardly: a horse standing at four feet eight inches is "a hedge mark two." An amber champagne courser stallion, owned by Rupert de la Mare and used as his primary mount. Witching Hour stands at a hedge and three, is currently a little over five years old, and he has a fairly temperate nature. While he has almost no "native" hill-pony blood in his veins he is extremely sure-footed and can show a pretty pair of heels when his master requires speed. 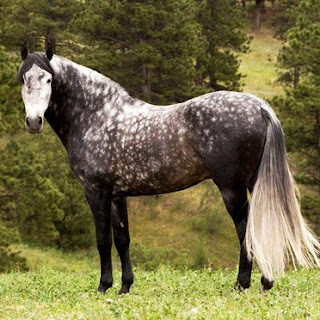 Another of Rupert de la Mare's horses, Hanging Tree is a dark dapple-grey palfrey mare of some seven years, well-set and good-tempered, standing at exactly one hedge. She has been trained as a lady's mount, for walks or hunting or Maying, and is the horse most used by Margaret. As Margaret stepped into the courtyard and to one side Skander’s courser, a big-boned blue dun with a mind of its own, was being brought out of its stall... As I have mentioned before, Skander has quite a pick of horses in his stables, but Blue-bottle Glass, intemperate and feisty as he is, is the gem of Skander's heart. Not only is he a beautiful show, he is powerful, responsive, and exquisitely trained. Though nearly ten years old, he gives his handlers plenty of fuss and usually gets his way by throwing his massive weight about as he pleases. Altai-tek is a pure-blooded Carmarthen horse, bred on the Plenilune steppes with thunder for feed and spice in his veins. He is owned by Mark Roy, king of Orzelon-gang, and was a gift from the sovereign's nomadic father-in-law. He is only five years old, really newly broken, but he rivals Witching Hour at a hedge and five for height and carries the elaborate trappings customary to Orzelon-gang horses with poise and style. Like his master Lord FitzDraco, this dun-coloured gelding courser is not much to look at, but Boy is extremely sweet, unassuming, and unflaggingly loyal to his master. He is thirteen years old, stands at a hedge and two (which is just a little too short for FitzDraco), and, though he has no remarkable parentage, remains one of the unsung heroes of horse-kind. His ordinarily severe master coddles him like a dog and, like a dog, Boy devotes all his love and attention to FitzDraco. 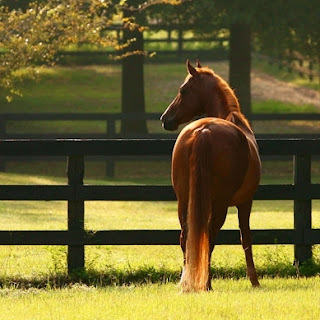 Chanticleer Down, sired by Down Six (of a long and famous line of Downs), is a chestnut hedge-and-two courser stallion owned by the young lord Centurion of Darkling. Chanticleer Down is only four years old and quite untried, having never ventured very far from his home paddocks around Darkling-law. He is trained for combat, but as wars have been scarce in the past ten years the young buck hasn't had the chance to test his mettle. 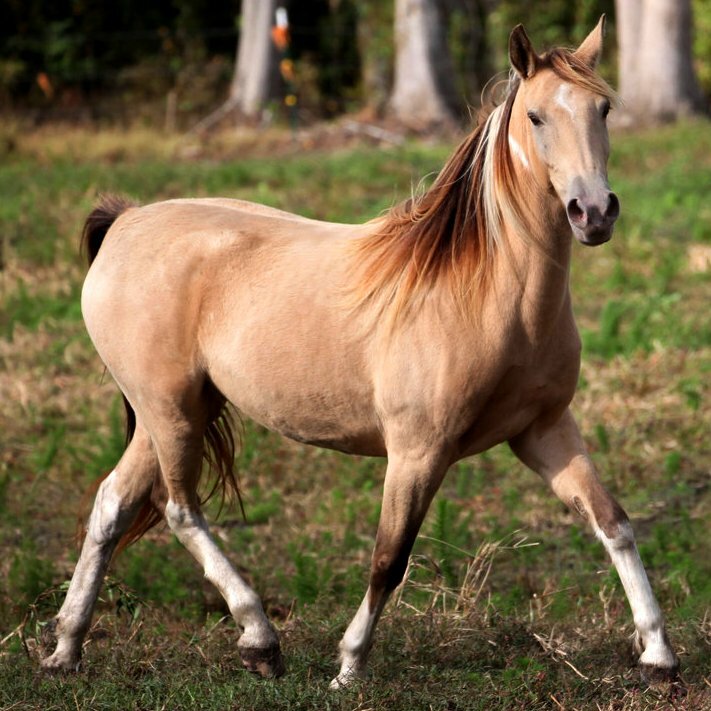 As her name suggests, this flea-bitten mare has a powerful bad temper, as short as her neck is long, and she came out of the womb running. She is a little, sprightly thing, a hedge mark one in height, and her ten years of existence have not dulled the edge of her attitude. She is a Thrasymene horse, Woodbird Swan-neck's primary mount, and is not trained to do anything. She will do anything at all - fight, race, or hunt - if she feels like it, regardless of training. She is stuck inexorably in the terrible, rebellious teenage years, flaunts her precocious nature and natural beauty, has a wicked bite, and will put up with no one but Woodbird herself. Chrysostom is an old resident of Talus Perey, a manor of the Mares owned by Malbrey, a friend of Rupert de la Mare. Chrysostom is a palomino gelding of some sixteen years, a haggard but friendly individual, still rather handsome and very stately at a hedge and three. He is no longer used as a charger but still makes for a comfortable, leisurely ride about the manor or surrounding countryside. Benedictine's owner, Aikin Ironside, is a bit of a dark horse himself... This heavy-set black mare, just too light to be an official destrier, makes for an odd picture when juxtaposed with her tall, lean-built master. She stands at a hedge and nine and is looking forward to her sixth birthday. 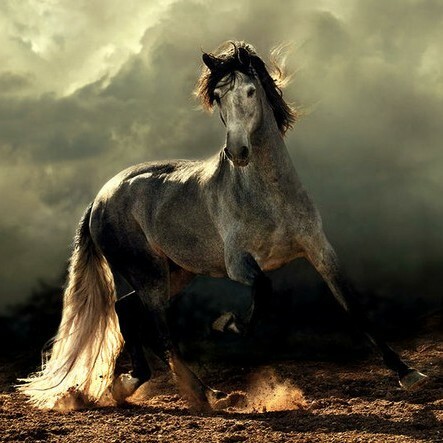 She is a placid, amiable girl; she and her master share an almost telepathic understanding of each other which makes her invaluable as a horse, and them both deadly as a unit in battle. 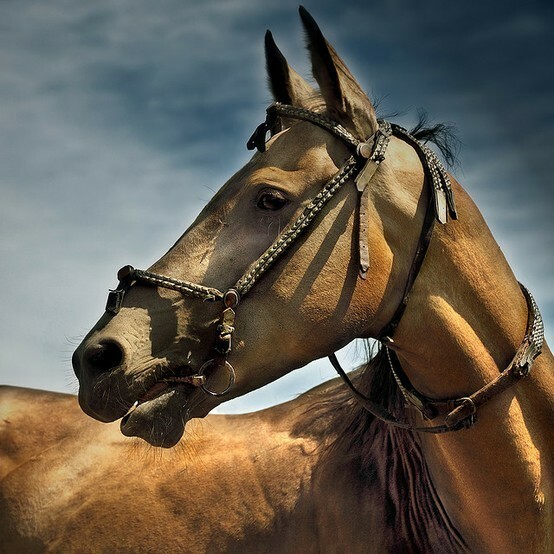 Her name and visage are sweet, but Pearl is the rather jaded mare courser of the Lord of Hol. 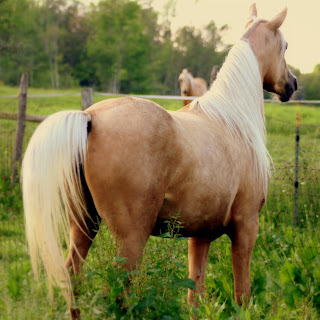 Her sire was Gold Bit, her dam Spoils of War; she is quick and light-boned, but strong, and stands at a hedge and two. She is eight years old and has already seen two violent brushes with neighbours. Her disposition is naturally quiet, but her treatment has inclined her to be skittish and wary. A bay courser three-year-old owned by Aikin Ironside's brother Brand. Fond Farewell was originally meant to be a racehorse, but he fell under Brand's eye and was quickly bought off the track. He is a leggy, skittish, but promising youngster, and will hopefully settle down into a formidable war-horse after his training. The odd-job pony, which is entirely hill pony in breeding, is possibly twenty years old (everyone has lost track). It rattles about Marenove Manor doing this and that, hauling brush or carrying one of the household servants about the country lanes. The grizzled old thing stands at only a hedge mark four, which makes for awkward riding. Rubico is a tough seal-brown agouti war-horse, standing at a hedge and one high with a raw handsomeness and a no-nonsense personality. He is nine years old and has seen several full-blown conflicts in foreign parts. Since the death of his master Dammerung War-wolf he has gone into forced retirement which, since he is still in his prime, makes him irritable and snappish. "It's a rummy long way to Thwitandrake... Anyone got a horse?" I just love the horses' names; you are so clever at coming up with spanking good ones. Altai-tek is my favorite simply because it's so fun to say; but I'm very fond of Boy (being fond of Lord FitzDraco) and Blue-bottle Glass as well. I'm pretty sure I wouldn't like to ride a horse named Hanging Tree. "You made that sound kinda ominous..." I like Witching Hour, even if he is owned by Rupert, and I would like to keep the odd-job pony. 'S so cute! Spoils of War...splendid name,as are they all! This post fired my Imagination when it was in fierce need of distraction! :) Thank you, Jenny-mine! Wow, those horses are BEAUTIFUL, and those names are so unique and intriguing, Jenny... it is amazing how you are able to bring out (in writing) the characters and temperament of horses. 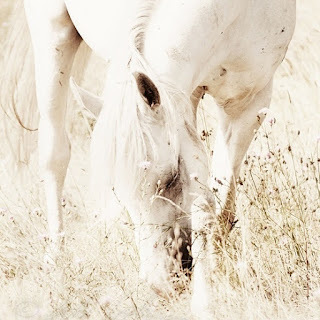 Currently I have two horses in my story, Gnea and Pollux. I'll have to come up with a picture for them :). Oh, this post was great fun to read! I love all the horses' names — you are so creative, Jenny. Witching Hour, Blue-bottle Glass, Fond Farewell . . . *sigh* They're all so captivating and make me want to read your book desperately. 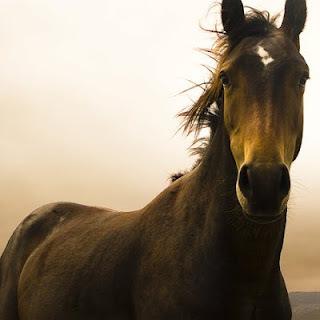 I must agree with the others, though; I would be hard-pressed to manage one name for a horse so good, let alone personality, history, and pictures... and you here have conjured a plethora! I'm so glad you all enjoyed this. 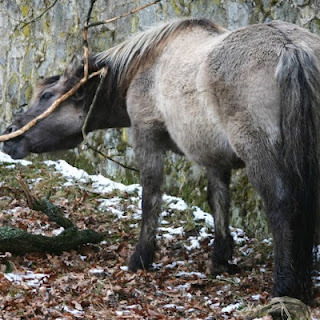 I have been gasping rather desperately for a bit of light blog material, and at the arrival of Rubico (I have known of Blue-bottle Glass, Altai-tek, and Witching Hour for some time) the idea of charting out an official list of official horses came too. I had such fun thinking of names for them. I don't think I could tell you which is my favourite. "Blue-bottle Glass" is an old name of mine, and one of the first that I pulled in. Except for the Carmarthen horses, most Plenilune horses are heavily Anglicized, which makes naming them pretty easy. I think they all enjoyed being shown off to you guys. You will notice that Altai-tek even utilized a modelling fan for his snap-shot. :P With the exception of the odd-job pony, who is just cute, they are a rather dashing lot, don't you think? They may not ever be mentioned by name (though I will do my best to give them a touch of limelight), but at least now you will know who is who of the equine world. And so will I.
Dang and blast, Anna, you posted when I did. Yes, "Hanging Tree" is rather an ominous name, as is "Witching Hour" (which puts me in mind of Ichabod Crane...), but I'm prodigiously fond of the name even so. She really is a sweet creature, but de la Mare has a cool and amused bent to giving his mounts rather unwholesome titles. I think he gets some twisted laugh out of offering their services to others and watching peoples' faces as he does so. I don't know. I never asked.